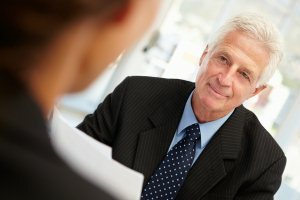 Can Exit Interviews Drive Your Hiring Strategy? In a highly competitive talent market, such as we have today, hiring professionals are always looking for new approaches, angles, and ideas that can help tip the balance in their favor. One area that often gets overlooked is exit interviews, which have in many organizations become stale, transactional processes that are often mistrusted by employees; they can be viewed as a box-ticking exercise and an afterthought. The employee engagement survey usually takes precedent, with the exit interview making an appearance in the closing scenes once the show is over. I am not saying there is anything wrong with this approach, it just reflects the natural order of the employee life cycle, but I think this approach deserves challenging on the basis of research I discovered from Nobscot (reported by prweb.com). The research found that 53 percent of respondents indicated they would be likely to be honest in an exit interview compared to just 22 percent who were prepared to be honest in an employee survey. This research makes me believe that, executed well, exit interviews can be a valuable tool that can provide recruiters with arguably more honest feedback about a business. The feedback can be used to potentially make more effective changes to the employer value proposition and increase the employer’s attractiveness to talent. But, to be actionable intelligence documents, which can help the business and recruiters develop candidates attraction strategies, I believe exit interviews must be executed in an effective way, and below I have set out tips on how to do this. Ideally, exit interviews should be conducted a day or so before the employee leaves, which means that the employee will have closed out their business with the company and will be less fearful of any repercussions of their exit interview impacting them while at work. This will make employees much more likely to attend an exit interview and provide honest feedback. Employees will be more motivated to engage in an exit interview if they are told the reason and if they believe that it will be used to improve the organization. So ensure that you establish a clear process for feeding exit interview results into the HR strategic planning process and you explain to the employee how their answers will help to enhance the continuous improvement process. Give them an example of a change which has been made to the employer offering as a result of feedback from exit interviews. You may get more truth from an individual if you enable them to respond to the interview in an anonymous way, rather than face-to-face. The two ways to achieve this are by anonymous mail-in or anonymous interview, both of which really own work in large companies. So, my recommendation is to have the exit interview conducted by people from outside the firm – and this can ensure the highest level of anonymity. Failing this, HR can conduct the interview. To ensure the exit interview findings are indeed actionable I suggest reporting results to key decision makers in an aggregated manner on a periodic basis, perhaps quarterly. This way it should provide enough data to show trends (rather than isolated incidents), which is the best way to persuade management to act. As an added benefit, it also increases anonymity. So, done well, exit interviews represent a great opportunity for recruiters to get some quality actionable information about exiting employee’s attitudes towards the business, which can be used by recruiting strategists to develop the firm’s employer value proposition to make it more effective at attracting talent.